Why are there bad people in the world? Can't God stop them? Why do I need to learn to read, write, and speak Hebrew? This classic reference—updated for the 21st century—provides answers to more than 180 questions that Jewish children most frequently ask about their faith. The authors cover not only the basics of Jewish belief, custom, and practice but also the kinds of questions that arise from the unique way that children view the world, such as "Will the Messiah have superpowers like Batman or Superman?" And perhaps most important for our time, What Does Being Jewish Mean? tackles the knotty philosophical questions that often leave parents stumped for quick and appropriate responses. Rabbi E. B. Freedman has served as the director of the Jewish Hospice and Chaplaincy Network in southeastern Michigan. Rabbi Alfred J. Kolatch, author of The Jewish Book of Why What Does Being Jewish Mean? will be a great help to parents seeking to answer their children's questions about Judaism and Jewish life. It will certainly be a wonderful source of information for adults anxious to share with young people an appreciation of their heritage. 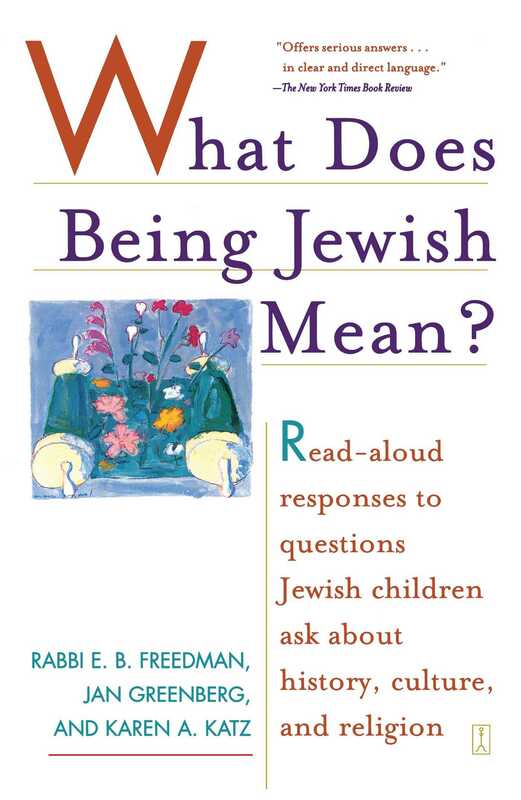 Book Cover Image (jpg): What Does Being Jewish Mean?